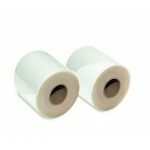 Roll laminating film for use in thermal roll lamination machines. Available in 1.5 mil, 3 mil, 5 mil and 10 mil thickness with a 1", 2 1/4" or 3" core. We sell high quality roll laminating film at the lowest prices plus we offer FREE GROUND SHIPPING on all roll film purchases over $50! 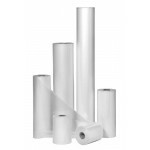 Stock up on roll laminating film today for your school or office. We accept purchase orders from schools and government offices.